The P10M model has an incredibly compact 610mm / 24″ wide footprint while providing a substantial ten GN 1/1 tray capacity and 74mm / 2.9″ tray spacing. 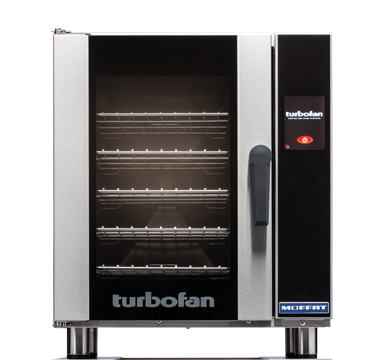 Key standard features include fully insulated double-skin cabinet construction for energy-efficient heating, an auto-fill humidity generator, holding cabinet function mode and a plug-in connection for easy install. 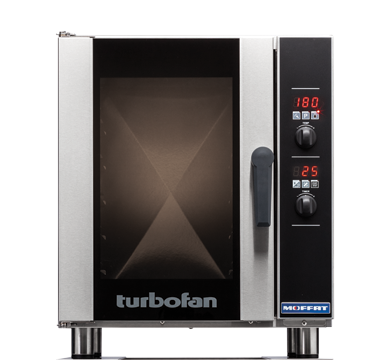 Manual controller interface offers simple and efficient access to high performance power with a mechanical thermostat for time and temperature setting. 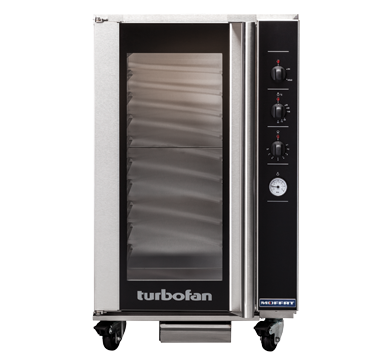 Along with these features it also has all the well-honed design functionality and built-tough durability of the Turbofan Series, delivering adaptable use either as a stand-alone unit or when stacked with the E33 oven system.